Helping clients realize their American Dream. That is often what immigration lawyers cite as the most rewarding parts of their careers. It is also one of the few reasons why being an immigration attorney is one of the best legal jobs out there. 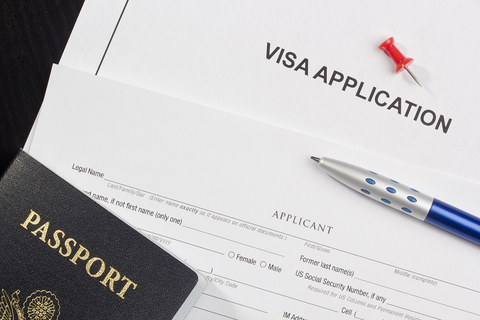 Immigration law is a highly specialized field. It takes a lot to become “fluent” in immigration, citizenship, and employment law (the intersection of the three is where most immigration attorneys find themselves). Immigration lawyers represent their clients (individuals or businesses) in court or serve them outside the courtroom by offering legal counsel. They also deal with employment-based immigrant visas, deportation, acquiring citizenship, assisting companies in establishing themselves legally, obtaining green-card or permanent resident status, or filing for asylum or refugee status. Immigration attorneys are in a variety of service sectors: government, big firms, solo practice, and in-house in companies. After honing in on their practice, many are also able to offer their services pro bono to serve their communities. In the practice of immigration law, it is critical that attorneys get the information they need from their clients, and learn how to manage client expectations. Expressing and conveying information and realistic expectations is key to as successful practice. Immigration laws tighten and loosen—staying on top of it is critical. It is affected by what happens internationally (some say it is the most international legal practice out there). Staying up to date on changes and understanding how one decision can affect the outcome for your client is key. Your ability to develop cultural understanding is going to be the main driver of your success. By its nature, immigration law will be a practice across borders. Any international or foreign language experience will be valuable. Immigration practice is hands on, and you quickly get immersed in the field. It also exists in a variety of settings (everything form a solo shop, to corporate offices, to large firms, to entire national bureaucracies). Your work will also touch multiple disciplines: immigration law, business law, commercial work, litigation, civil liberties, and human rights advocacy. Be comfortable with your diverse talents and skills. The job requires strong personal communication skills, a flair for regulatory practice, and a deft touch in court. The law is always changing, which keeps the practice intellectually demanding and exciting.